Designed as a versatile PID [PhotoIonization Detector], SIRIUS can be configurated with up to 4 additional sensors. With its real one-hand operation, it is an ideal measuring instrument as well as a personal monitor for a wide range of applications. 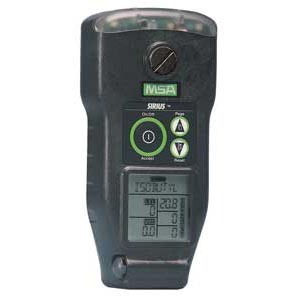 SIRIUS features outstanding multifunctional capabilities: simultaneously monitors volatile organic compounds [VOCs] in ppm/ppb-range while measuring combustible gases, oxygen-deficient atmospheres, CO and H2S. The new SIRIUS PID Detector combines incredible performance, versatility and ease of use in a single instrument. Robust, durable and lightweight, it can be operated with one hand. According to the latest norms as ATEX Directive 94/9/EC.